High-power zooming from wide-angle, with PZD (Piezo Drive) autofocus and VC image stabilisation. This Tamron superzoom spans an astonishing range of focal lengths from a truly wide 16mm through to 300mm telephoto (35mm film equivalent: 24.8-465mm). At wide-angle it covers sweeping panoramic landscapes and intimate interiors; as a telephoto it can capture powerful close-ups of distant subjects. This unprecedented flexibility in framing is available with a quick turn of the zoom ring. The Sony mount is not equipped with the VC image stabilisation mechanism, as the body of Sony’s digital SLR cameras has a built-in image stabilisation function. Consequently, the lens with a Sony mount is referred to as the 16-300mm F/3.5-6.3 Di II PZD and does not include the VC description. An exclusive Tamron innovation, the Piezo Drive (PZD) is an advanced ultrasonic autofocus (AF) motor based on the latest piezoelectric technology – the standing wave principle. High-frequency voltage turns a ceramic piezoelectric element with a swiveling motion, causing the metal tip at the rotor’s contact point to rotate elliptically, thereby turning the rotor to focus the lens swiftly, silently, and with great precision. Standing wave ultrasonic motors like the one used in Tamron’s innovative PZD have a number of advantages. They’re smaller and lighter and also provide faster and quieter operation than DC motors for improved AF performance. Compared with their predecessors, their actuator system allows far greater flexibility in lens design, reducing the overall size and weight of the lens. PZD autofocus is noticeably faster and quieter. Capture crisp images spontaneously, even in noise-sensitive situations. There is enhanced support for contrast-detection AF capabilities, and focusing when in live-view mode is smoother. Make fine focus adjustments at any time without having to switch out of autofocus mode. Designed exclusively for APS-C sized digital SLR cameras, this all-in-one zoom has a minimum focal distance of 0.39m (15.3 in.) through the entire zoom range. Macro capability down to 1:2.9 allows you to enjoy high-quality macro photography with astonishing convenience. The Sony mount is not equipped with the VC image stabilisation mechanism, as the body of Sony’s digital SLR cameras has a built-in image stabilisation function. Consequently, the lens with a Sony mount is referred to as the 18-270mm F/3.5-6.3 Di II PZD and does not include the VC description. PZD (Piezo Drive) is a standing wave ultrasonic motor system developed by Tamron. The motor is faster and quieter than DC motors when the AF drive is operated, and compared with arc-type ultrasonic motors, it has an actuator that facilitates lens design and reduced size. The essence of Tamron all-in-one™ optical technology. 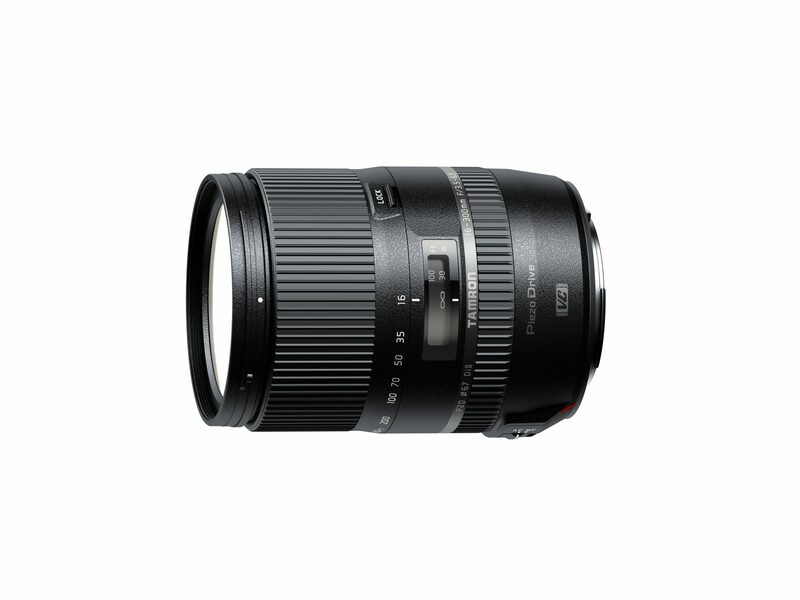 This cutting-edge design employs Tamron’s advanced optical and mechanical design technology. There are 16 elements in 12 groups including three Moulded-Glass Aspherical elements, two LD (Low Dispersion) elements and UXR (Ultra-eXtra Refractive Index) glass. Together, they correct optical aberrations, while state-of-the-art multilayer coating significantly minimises ghosting and flare to deliver images of exceptional clarity. The entire package is kept incredibly compact through the use of advanced mechanical design engineering. UXR glass is a development of XR glass, bending light even further. Like XR glass, UXR plays an important role in minimising the size and weight of the lens, optimising handling and dexterity. 1. Length, entire length and weight figures are for Nikon-mount lens. 2. The distance between the mount face and the tip of the lens. 4. The Sony mount does not include VC, since Sony digital SLR bodies include built-in image stabilisation.